Company Assets …Our labels…Our experience. Swift Production…. Excellent bottling & Packing. Good Service…we quality assured delivery companies. Quality Control.. utilised at key times during vinification and bottling. We can start talking about the quality table wine varieties we use such as Shiraz, Cabernet Sauvignon, Merlot, Sauvignon blanc, Chardonnay all popular varieties with the general public.With so many lines we manage all these at a specialised bottling company they guarantee the quality of this operation with stringent testing. All of our wines are specially prepared to a bottling standard & thoroughly tested prior to bottlingLabelling & packaging is also done to a precise standard to make our wines stand out in the crowd. The branding is a feature of our packaging with prominent logos utilised on our cartons capsules & cartons. The wine is then ready to be shipped to our many overseas and domestic customers. Expertly made & carefully packaged. Founded in 1998 by Brett A Howard and shareholders the Hillsview Wine Company is a privately owned wine company committed to producing and selling the finest quality table wines of the highest value to our customers. The Hillsview Wine Company’s diverse family of brands has been sold in over 12 countries worldwide in addition to being distributed throughout the Australian States. 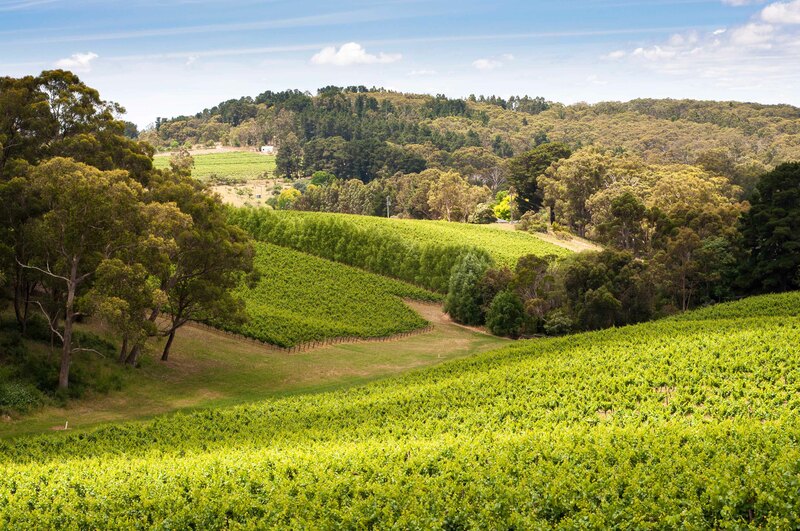 Hillsview/Blewitt Springs Wine Company has become a major vintage varietal wine source to the Australian wine industry and is currently recognized as a producer of premium table wines and an avid exporter utilising various grape varieties. Our quest for quality begins with specific wine selection, aging, blending and continues right the way through the bottling process to the customer. Our brand development and improvement is continually being upgraded to fit an ever changing consumer. The Hillsview Wine Company is vertically integrated, from the vineyard to the table, focused on crafting wines specifically for the export market. My association with the wine industry spans some 27 years with my early experience working in a small Mclaren vale winery which 1st gave me experience in all facets of wine production. Some years later I benefited from viticultural experience in local vineyards that saw me eventually start at Chateau Reynella one of the oldest wineries in South Australia experiencing many & varied duties involved in wine production. Some years experience in these wine cellars saw my eventual opening of my own wine company Blewitt Springs which I ran until 1987 before moving to California to study wine operations & gain more experience. Upon my return I concentrated on a small range of wines before merging with hillsview vineyards in 1998 as now producing a vast array of wine styles & blends. My principal experience centres around producing quality dry reds & dry whites using the most modern techniques & equipment available. Being from a viticultural & horticulture background from my family’s vineyard I have strong experience in grape production & management which is essential in producing high quality table wine.